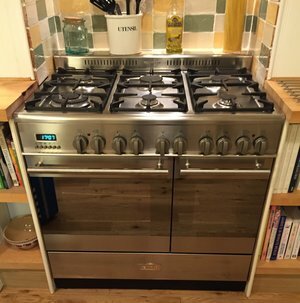 Cooker Solutions Ltd are professionals and are fully qualified to repair your appliance, whether it be single cooker repairs or dual fuel oven repairs. 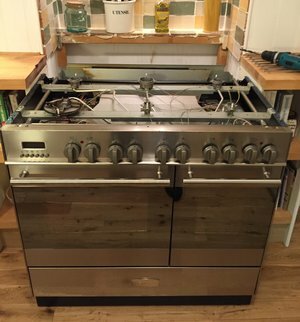 We specialise in the repairs of dual fuel and freestanding cookers. Whatever the brand of your appliance, we can ensure that we will repair or notify you of the problem and give you advice on the best way in which you should proceed. We are aware that many people choose to buy a new appliance before finding out that in most cases it can be repaired. We cover many areas throughout London including: Croydon, Wimbledon, Clapham, Bromley, Battersea, Barnes, Beckenham, Dulwich, Wandsworth, Surrey and South London. There are many common problems that can occur with ovens that many people don't realise can be repaired. We offer a full repair service to help you resolve the problem resolved as quickly and economically as possible. We will endeavour to find out what the problem is and repair it at a time that is convenient for you. This way there is no need to take time off work. You can inform us of a time that is best suited for you to arrange the repair. One of the main problems encountered with cooker hobs are that people tend to over clean and cause water and chemical damage. We can help you get to the root of the problem, show you exactly how to avoid these issues happening and repair ready for use again. Remember not to over clean oven hobs inside areas that can cause damage to the way it works, as this can be a main cause as to why your hob stops working. Each cooker is different and can have its unique problem and these problems can be a result of many things. Many people experience problems after having their electrics re-done, after a power cut, due to the age of cooker or you may just have a general problem with your cooker. If you are unsure about the problem you are facing with your cooker, then simply call Cooker Solutions Ltd today and arrange an appointment with us. We will give your cooker a thorough examination and diagnose the problem. There are many problems that can occur with certain brands of dual fuel cookers. All our engineers are fully trained to help repair your dual fuel cooker. We have found that some brands of dual fuel cookers come with their fair share of problems, which we have helped many of our customers resolve. If there is a fault then we can repair it. We offer full repairs and replacements of parts. Many of the parts in freestanding cookers can get damaged during transit. 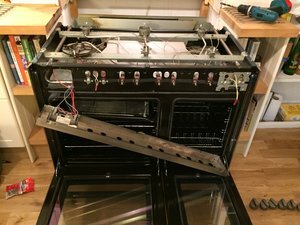 We offer replacement and fitting of any part of your freestanding cooker. If parts have been damaged, we can visit your home to resolve the problem and supply and repair the required part as soon as possible. In most cases we may have the part and can make the repair in one visit. Cooker Solutions Ltd bring their services to your home. No matter what make or model your cooker is, we are able to repair it when you need it the most.Call Cooker Solutions today for one of our technicians to come out to you and repair your cooker at a time that suits you.